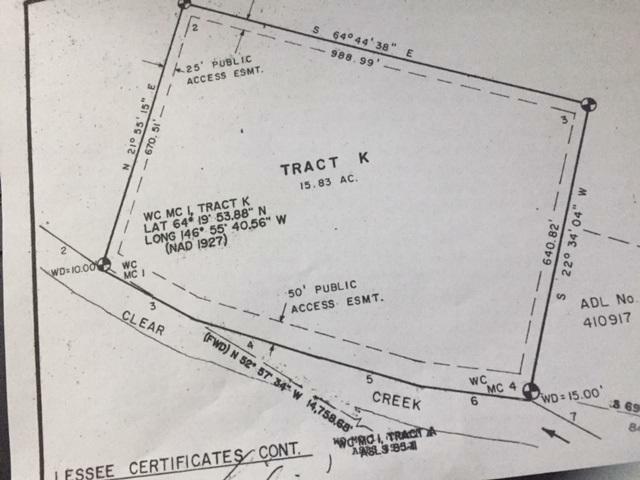 Remote parcel with over 15 acres about 1.3 mile from Clear Creek. Great moose hunting area. Listing Licensee has not been to see property.